Is it just me? Or is harvesting cannabis the BEST part of growing your own marijuana? Nothing is more satisfying than seeing the long and meticulous grind of growing come to fruition. Today, you’ll learn when your cannabis plants are ready for harvest and how to harvest without ruining all of your hard work! When is Cannabis Ready for Harvest? Knowing when exactly to harvest is half the battle. If you do it too soon, your yield will be less potent, but if you wait too long then the THC will start to degrade. Waiting too long leads to a higher CBN count which equals more of a couch high than a head high. If you’re growing just for personal use, then you may want to play around with harvesting times to see how you prefer it. Since the high is highly dependent on when you harvest, you can nail down a perfect high for you. To test this, you need to be growing several plants. Harvest a different plant at varying stages and take notes of what you like the best. That way you can recreate it on the next go around either with cloning your cannabis or by planting the same seeds. When plants are harvested earlier they produce a more stimulating head high, and when harvested at peak you’ll experience a more numbing, hazy and psychoactive high. If you wait till later, then your plants produce more of a body high. How Long Does Cannabis Take to Grow from Seed to Harvest? Growing outdoors, generally means a longer growing cycle. This is because the plants depend on the seasonal shifts to trigger their transition from vegetative to flower stage. When grown outdoors, a purebred sativa may take upwards of six months to harvest. Pure indicas generally have a shorter flowering cycle, which makes them a popular choice among growers keen to get to the harvest. Hybrids will take the characteristics of either-or, which may be to the advantage of an experienced farmer. Strain also comes into play, as some strains are bred for a shorter time to maturation. Some in as little as three months. If you know what you are doing, it’s going to mean no mistakes and no delay to harvest time. Does Harvesting Cannabis Kill the Plant? If you know anything about weed, you’ll literally be killing yourself over this question. But, people with no experience have questions - and this is an important one! There are many herbs out there that may be harvested with little to no damage to the plant. We are talking about rosemary, bay leaves, and thyme. Unfortunately, cannabis is an annual species. Under normal conditions, it grows seasonally and dies out before the winter comes. The parts of the plant useful for recreational and medicinal purposes are the flowers. The big buds must be cut, dried, and packaged for you to get the high you are looking for. And while technically cutting the flowers off a plant won’t kill it, the very nature of cannabis means that even if you left the plant to continue growing, it would die off eventually. Leaving the rest of the plant intact, while harvesting the cannabis, won’t save the plant. Cannabis only flowers once, and then evolution dictates it must die. So yes, harvesting cannabis means you kill the plant - but it would also die off pretty quickly if you left it alone. Can You Harvest Cannabis in the Rain? Indoor growers don’t need to pay attention to the weather, but storms spell out massive problems for outdoor and greenhouse growers. You cannot harvest outdoor crops in the rain unless you want to forfeit your crop to mold and fungus. Wet buds tend to decay even in a well-designed drying room. So outdoor growers, as you near harvest season check the weather regularly. If a storm is coming, do a few calculations. Is it close enough to harvest before? Or can your crop survive a few more days after the storm, to allow it to dry out, it might make sense to wait? And, just because you’ve grown in a greenhouse, doesn’t make your crop safe from increases in humidity. You might think you’ll have to roll down the sides and call it a day - but most experts suggest rolling up the sides to increase circulation. Don’t let that humidity build before harvest! 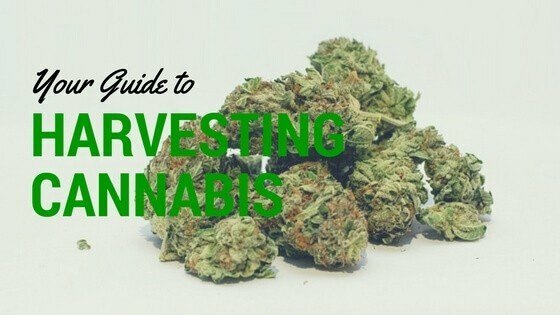 Should you Harvest Cannabis in the Morning or at Night? An interesting question, but a good one. Considering how tied cannabis is to the light cycle, and especially during the final weeks of flower. There are no scientific studies on cannabis, but most growers will all say the same thing if you ask them about when to harvest. For peak resin, harvest in the early dawn light. During the dark hours, cannabis pumps out resin, which means more terpenes and more cannabinoids. Harvesting during the very early hours, at dawn, takes advantage of this production. Just as your lighting system turns on, is the perfect time to harvest your crop. What Happens if You Harvest Cannabis Too Late? A fascinating thing happens to the buds of your plant if you harvest past ideal timing. First, their terpene profile matures and becomes increasingly potent. An older bud will smell much stronger than a younger one. But, the THC content tends to deteriorate past peak potency. So if you are growing to get the most THC possible from your flowers, you’ll want to harvest on time. But not everyone cares about super-high THC levels. Most people feel that a bud harvested ‘too-late’ will actually deliver a deeply indica experience. Even sativas will deliver an indica sleepy-sedation if left to long on the plant. This may be thanks to the higher levels of terpenes. As you experiment with your own cannabis plants, you’ll get a handle on what you are looking for and what you want to harvest for. What Color Should the Pistils be? Pistils (or hairs) that are usually white throughout the growing process will start to grow orange-brown when it’s getting time to harvest. This is just a good indicator as to when you should start paying closer attention to the trichomes. The concept is very straightforward. When plants are young, the pistils are white and straight. Then, as the mature, they start to darken and become curly. What you need to pay attention is the ratio of white pistils to darkened pistils. Too much white and you’re yield won’t be as potent as it could be. But wait till there is no white and your bud is going to lose a lot of its psychoactive effect from the THC. A good rule of thumb to go by is the ⅔ rule. When ⅔ of your pistils have changed colors, then your plants should be ready for harvest. Also, these ratios are an interpretation that you’ll get better at recognizing over time and with practice. Your trichomes are a more tried and true way to tell if your plants are ready to harvest. And by far the most accurate. For this method, you need to buy a trichome magnify glass or what’s more commonly called a jeweler's loupe. Trichomes are where the THC is produced. These little mushroom shaped crystalline structures are often referred to as the resin glands. They form all along the buds and leaves and are responsible for the sticky texture of bud. At the apex of the trichome, a ball is formed; this is where you’ll look to see if the buds are ready. You can’t see the inside of a trichome with your naked eye. Jewler loupes operate at 50-100x, which give you a clear view of the trichomes changing colors, though. If most of your trichomes are clear, then you still have some time before harvest. If you were to harvest now, the potency of your plants would be significantly diminished. Theoretically, you can harvest once half of your trichomes become cloudy. Though be warned, your buds have not yet reached their full size. At this point, there is plenty of THC to get you high or help with certain medical issues. Note the high will mainly be an energetic one. Now is the peak time, and the best time to harvest your plants! Your plants will never hold more THC than they do now, and your high will be very euphoric. This is also the best time to harvest if you need your cannabis to produce pain relieving effects. If your trichomes have begun to turn amber, then they are past the peak. This isn’t a bad thing per say. It just means the THC started to degrade. That can’t be good, right? Well, actually, if you’re looking for marijuana to help you with anxiety then this is when you need to harvest. At this point, your plants have more CBN than they do THC. Some plants are bred to be at their peak at a very specific time. These are referred to as autoflower plants. This takes a lot of the guess work out of harvesting. To get autoflower seeds, you’re going to have to buy it from legal avenues which make it difficult if you're living in one of the many states where it’s still illegal to grow your own cannabis. But if you do manage to get your hands on some, they are ideal for beginners. Depending on the type of plant you’re growing, you can get a general idea of how long it will take from flowering to harvest. The key thing to remember with this method is that it’s not an exact science, but it is a good way if you want to grow with a minimalist approach. Also, these times are just general. Even amongst the classes, the specific strains vary. For instance, some haze strains grow much faster than their fellow sativa counterparts. Going based on time is something a lot of outdoor growers prefer. If you’re starting your garden in the early spring, then your indica plants will be ready around the end of September. And around the end of October is when your Sativa will be ready. The last couple of weeks leading up to harvest is a crucial period. There are a few key steps growers like to take to help with the taste of the bud and help with maximizing the yield. Flushing, or leaching, is the process of getting rid of any nutrient build-up and clearing the marijuana of any impurities. When you take all of the nutrients out of the plants growing medium (be it soil or water), the plant is forced to use its stored food reserves. These food reserves are sugars, starches and other junk we don’t want to smoke. They make for a harsh smoke, but they also make the plant difficult to burn. There are two different best practices when it comes to flushing: Forcing the nutrients out and just stop the feeding. Two weeks before harvest, you want to flood your growing medium with pure water. Let this heavy dose of water sink in for a few minutes. This will dissolve all of the salts and nutrients. After which you need to add more water to clear the decomposed nutrients out. If done properly, it won’t be but a few days before you notice a nitrogen deficiency in your plants. The leaves will start to turn light green and then yellow. You may even see reddening stems indicating a phosphorus deficiency. To test that your plant is completely flush, eat a leaf. Break off a leaf and taste the juice from the stem. The taste will be a dead ringer. If it tastes bitter, then there is still plant food in its system. If it tastes like water, however, then it has been thoroughly flushed. Another method is just to stop providing nutrients two weeks before harvesting. This is a more natural way of letting the nutrients build up to break down, but not always as effective depending on how much you’ve been feeding them. A couple of days before harvesting, a lot of gardeners like to do one last flush. Also, during the final 24 hours, you want to cut off all water entirely. Ideally, you’re going to let your growing medium go completely dry before you begin to harvest. To make harvesting easier, about a week before you plan to cut your plants down, remove the large fan leaves. Especially any leaves you see fading to yellow. Depriving your plant of water dramatically increases the resin production in the plant. It’s not necessarily the dry soil that increases the resin, but rather the dry air. You need the relative humidity in your garden to stay low in its final days. Producing more resin in this situation is its natural defense mechanism to protect itself from the dry and hot conditions. Marijuana trichomes are one of the highest UV-resistant plant compounds—period. The plant's resin glands reflect UV rays, preventing it from being burned by the sun. Ideally, you want to start this process bright and early—before the lights in the grow room light up. Keep an eye out for molds! If you keep your temperature and humidity right, coupled with letting in some fresh dry air a couple of times a day, you shouldn’t have to worry, though. Now that you’ve harvested your cannabis, you need to start to trim it and cure it. Drying and curing is a critical step that requires a whole guide dedicated to it. The key things to remember when starting the drying process, though, is that it needs to be done slowly. You’re probably looking at 7-14 days if done right. 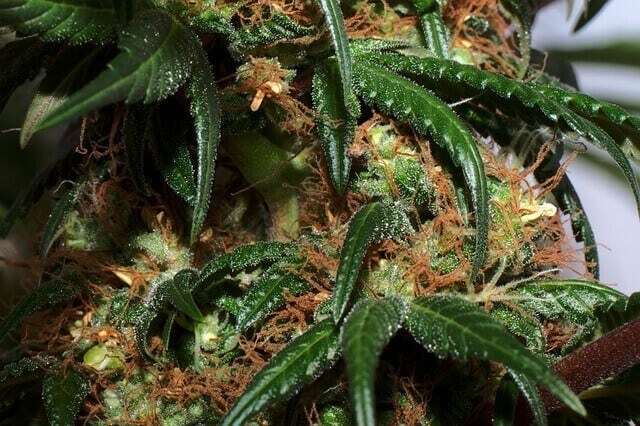 If you dry the buds too quickly, the plant will still have chlorophyll. This makes for a bad taste when smoking, and makes the smoke rather harsh. "This is the time to be patient. Trying to speed up this process can ruin all of your hard work." You’ll know the buds are done drying by testing the strength of the stems. If you bend the stem and it snaps, the buds are good to smoke. But if it just bends, there is still too much water in the plant. One of the most important tips for a successful outdoor harvest is paying close attention to peak potency as well as the weather forecast. Getting the timing right is crucial to avoiding a ruined harvest from rain, or missing the window for the highest THC development. You’ll want to have all hands on deck during harvest as well if you are growing in any quantities. Be sure to have enough people available to get the crop in ASAP, before the Fall rains hit. During the final weeks of flower, you’ll also want to do a full inspection of the drying room. Will it be big enough for the crop this year? What is the standing humidity? Do the fans and HVAC system work? Do a few test runs, because you’ll want to make sure everything is in functioning order before you throw the buds inside. This is also the perfect time to consider the leftover stalks, leaves, and roots of the plants. Compost, landfill, or some other purpose - get these plans in line before you harvest. What to Do With Cannabis Leaves After Harvest? So you’ve harvested the buds, and they are not hanging happily in strings in your drying room. What do you do with all the leaves? You can make a tincture or infusion because even the leaves contain measurable levels of cannabinoids and terpenes you might want to use. Tinctures are concoctions of plant material into an alcohol base, and infusions are usually within a fat or oil. A second option is to use the leaves fresh! Fresh cannabis leaves also have an impressive chemical makeup, and many people believe they have unique healing qualities. Juice them and freeze the liquid for later use. Finally, if you have enough bud that you don’t care about the leaves, then you can add these directly into your compost. Over time, they’ll decompose, and you can incorporate into the next crop! Still have questions about harvesting? Ask away in the comments below. 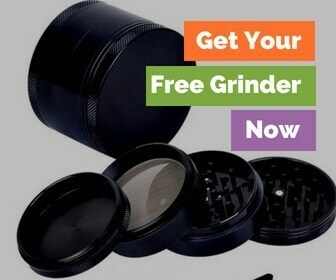 We also recommend you can check out this free grow bible from our friends at ilovegrowingmarijuana.coms.